The Seven horses painting is a very effective remedy in Vastu Shastra and Feng Shui, for people who want substantial growth in their business, finance, and career. As per Vastu, hanging this painting in your home or office space in the right direction brings desired results and success. As per Feng Shui, each element in this painting is the key to abundant wealth & prosperity. 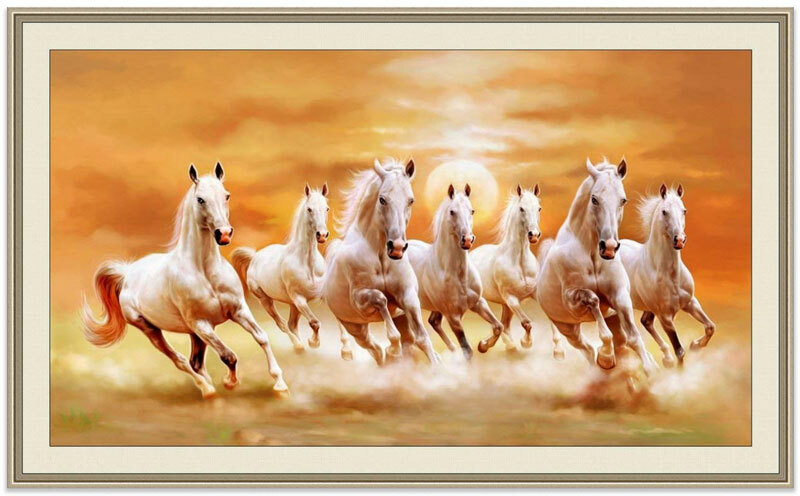 The Seven horses painting is used for significant growth in business, finance, and career. Below is the significance of each element in the painting of seven horses. White Horse – Signifies balance of Power and wisdom. They symbolize prosperity, good luck, and freedom. Seven Number – As per numerology, seven is a sacred number, which represents success, triumph, ascending, free will, perfection, and security. Number 7 contains the number 3 of heaven and number 4 of the earth; hence this lucky number symbolizes a bridge from earth to heaven. Orange Colour (Background) – Orange color is the mixture of Red and Yellow, so it contains the qualities of both the colors. It represents action, courage, excitement, motivation, extrovert, social and appetite for growth. Rising Sun: According to Feng Shui, the rising Sun is full of Yang (positive) energy, which intensifies good fortune and brings recognition luck, fame, and respect. The direction of Horses: There is a lot of confusion that whether the horses should be running towards left or towards the right direction. Our Vastu Shastra and Naadi (Swar) Vigyaan has the answer to this doubt. As per Vastu Shastra movement from left to right is considered auspicious (savya disha), as it indicates growth and prosperity. As per Naadi (Swar) Vigyaan, our left swar is ida (moon) and right swar is pingla (sun). While ida is responsible for all spiritual or inner growth, pingla is responsible for all physical and material growth. 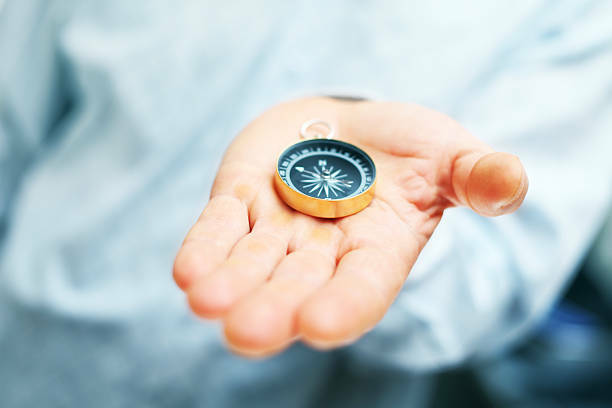 Hence right direction is considered auspicious for conquering the external world. When the Sun Nadi (Pingla or the right nostril) is flowing, the hard and daring works should be undertaken. Important: Make sure to have these elements exactly as mentioned above to receive the maximum benefits in your business and wealth conditions. If you are confused, which painting to buy, here is the link to the tested and original Seven horse painting. 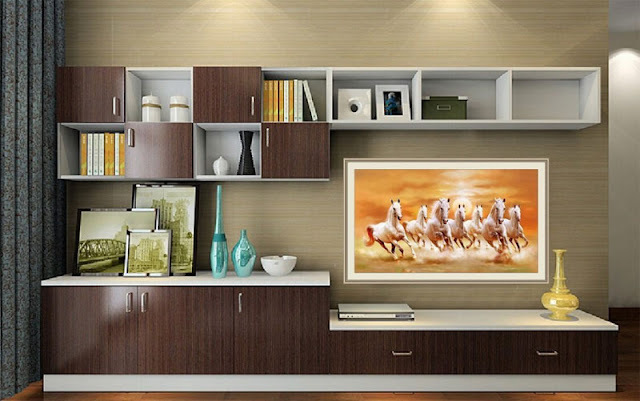 Placement – The Seven running horses painting should always be hanged on the South wall of your house or office. In your house, it should be placed on the south wall of your drawing room or any other space that is used for the official/business purpose. At your business/office place, it should be placed on the south wall of the owner’s cabin or the meeting/conference room. 1. 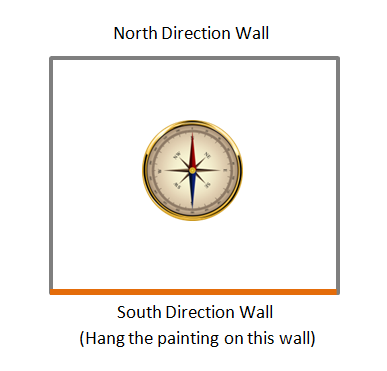 Take a magnetic compass (compass app in mobile will also work) in your hand and stand at the approximate centre of the room where you want to fix this painting. 2. 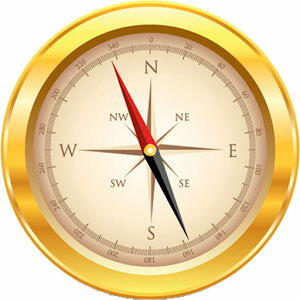 Now keep rotating the compass until the North needle (the one with Red tip) gets totally aligned with North direction (N) marked on the compass. Once the needle gets aligned it indicates the actual North direction with respect to your standing position. 3. 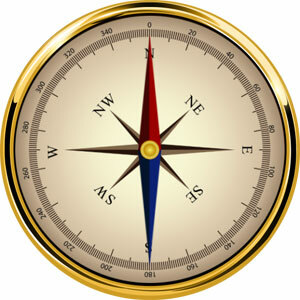 Since you have figured out the North direction, hence you may easily find the South direction (opposite one) now. Avoid hanging this painting in the bedroom, puja room, study room, room for elderly people or any other place which requires peace and relaxation (as this may create unnecessary distraction and anxiety in the occupants of these rooms). Do not use seven horse painting having cool hues like shades of blue, green and purple, as they have a calming effect on our mind and lessen our zeal to act & perform. In short, they create the opposite effect of warm colour like orange. Never use a painting having black horses as they symbolize death (not literally). This indicates that your purpose of hanging this painting may not get fulfilled or you may eventually face a failure. Picture frame should have full body pictures of all seven horses without any body part of horses being cut or incomplete. This indicates that there is a not enough energy that is required to meet the purpose or there is an energy leakage, which needs to be fixed. All horses should be running towards one direction or destination. Avoid pictures where horses are running in multiple directions. This indicates a lack of focus in your effort and your energy being diverted into many directions, which may delay the desired results.